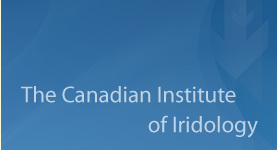 The Canadian Institute of Iridology (C.I.I.) was founded in 1989 by Iridologist Adam J. Jackson in response to the overwhelming public demand for a professional teaching forum and body in the field of Iridology. The C.I.I. offers a high standard of training in the practice of iris analysis. The combination of professional teaching through lectures and compulsory assignments together with clinical training ensures that students receive comprehensive training in clinical iridology and related sciences. Furthermore, we integrate holistic iris analysis with systematic naturopathic principles. The Practitioner Diploma Program in Clinical Iridology is designed for those people who wish to study and practice iridology on a professional basis. The Practitioner Diploma Program in Clinical Iridology covers in detail the theory and practice of iridology leading to a Practitioner Diploma in Clinical Iridology. 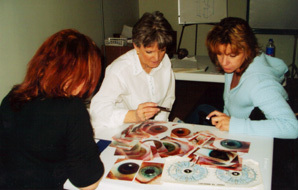 The Practitioner Diploma Program is divided into two modules - Iridology I and Iridology II. Students must successfully complete both Iridology I & II in order to receive the Practitioner Diploma in Clinical Iridology and the practitioner designation of C.C.Ir. ® (Certified Clinical Iridologist). The designation of C.C. Ir. ® is earned exclusively by graduates of the Institute. The Canadian Institute of Iridology is the leader in training iridology professionals and has been teaching iridology for over 25 years. The curriculum content is at an international level; including European and North American research material. The Practitioner Diploma Program in Clinical Iridology is offered as a correspondence study or can be the combination of correspondence & one on one training with the instructor. The program is completed entirely at home and enrollment can be made at any time. Final exam(s) are written in proxy or at the school. The program can be completed in 10-12 months. However there is no time limit in which to complete this program and thus students are able to progress at their own pace. During the course students can call or come into the school (by appointment) for academic support and tutoring. The Canadian Institute of Iridology is a government accredited (Human Resources Development Canada) private teaching institution. Tuition paid for this course is HST exempt and tax deductible. Official T-slips will be issued. For more details, please call or e-mail us.